This entry was posted in Uncategorized on July 14, 2015 by editor. This entry was posted in Uncategorized on April 9, 2015 by editor. This entry was posted in Uncategorized on March 17, 2015 by editor. Instead of covering your floor with a solid piece of carpet, which can look a little boring, try the new carpet tile trend. This method uses small pieces of carpet arranged similarly to other types of tile. This look adds interest to your room, and it provides style options so you can create a unique design that fits your business’s logo or brand style. This entry was posted in Commercial Construction on February 17, 2015 by editor. 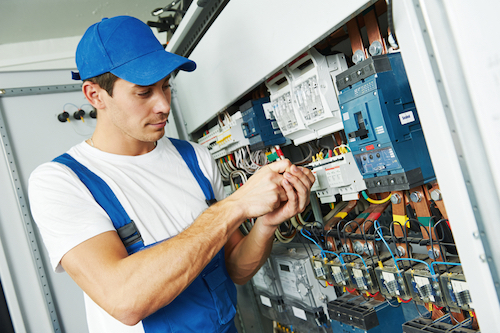 What does Commercial Handyman Services Include? What image comes to your mind when you think of a handyman? If you visualize an individual with a varied set of construction-related skills riding around in a pickup truck doing small jobs, you are partly right. The services that a handyman can provide vary widely, but their expertise is suitable for individual and commercial-size projects. 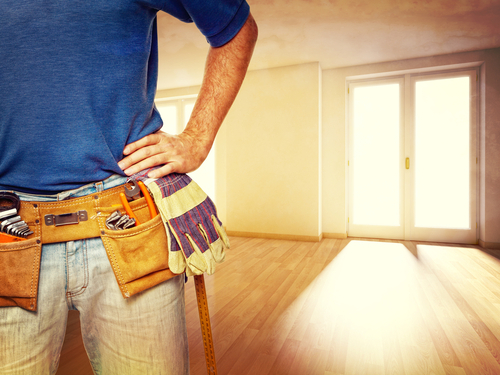 The following are just a few examples of D.C. commercial handyman services. Walkways, steps, floors, and walls have something in common–they require concrete. Concrete installation and repair requires specialized knowledge and expertise to ensure the outcome is visually appealing and stable. They must also meet the exact specifications of the business and any state inspector codes. Since cement jobs are very common for commercial businesses, individuals that provide handyman services are typically highly trained in this area. This entry was posted in Handyman Services on March 19, 2014 by editor. Tearing up the office isn’t anyone’s idea of a good time, but there are better and worse ways to do it. For a smooth transition from old to new, make sure everyone at your company has a clear understanding of what the change will entail. Make a solid plan with your contractor, and then set clear expectations with employees about timelines, off-limits areas, and who will be responsible for what during the renovation. When planning your renovation, take all factors into account. You might head into the process for more usable space or better window accessibility, but don’t forget that this is your opportunity to update other details. Consider the Energy Trust of Oregon’s suggestions for more energy-efficient lighting, or ideas like eco-friendly carpeting and paint, wider hallways or a centrally located break room. Where appropriate, take employee opinions into account. This entry was posted in Office Renovations on March 5, 2014 by editor. Springtime means the arrival of many good things, like flowers and sunshine, but it also means that you have a lot of work to do to salvage the damage the winter caused on your office building. From inside to out, here are the 10 things you need to do to get your building spruced up and ready for the season. With all of the snow and ice that have been covering up your grounds for the last few months, it is no secret that your building is going be dirty once all of the snow subsides. The easiest way to give your building a fresh look is by pressure washing it. Hire someone to clean it from the roof to the ground, including the windows. This entry was posted in Office Renovations on February 19, 2014 by editor. Is an Office Makeover Really What You Need? You think getting an office makeover sounds like a good idea. You hear stories of grandeur and promises of productivity from office renovations and you want to experience these benefits for yourself and your company. However, before you dig into your wallet to invest in these improvements, it’s important to make sure that what you are getting done is really going to be worth it. There are three main reasons that people want to makeover their office: improved looks, increased energy efficiency, or optimal productivity. Perhaps you only desire one of these results, or maybe you want all there. Regardless, here is a further look into these three reasons to help you decide if the time and energy it takes to move forward with your makeover will be worth it in the long run. This entry was posted in Office Renovations on February 12, 2014 by editor. Saying the phrase commercial office design used to drum-up visions of cubicles, poor lighting, and the ever elusive corner office. Fortunately for the majority of employees, commercial offices have now come to represent places where employee workspaces are designed to maintain comfort while increasing work efficiencies. From collaborative work areas to open floor plans the most common commercial office designs are places where employees enjoy coming to work every day. Open Workspaces: Open office designs incorporate a few of the following elements: shared workspaces, team areas, alternative work areas, large meeting and training spaces, and groups of desks as an alternative to rows of cubicles. Benching applications, which comprise a work surface space with a central technology infrastructure, are also a popular element of an open workspace design. This entry was posted in Office Renovations on February 5, 2014 by editor. Washington D.C. sets the example for the entire nation when it comes to the rules and regulations that are deeply imbedded in almost every government bureaucracy. Our elected and appointed officials make and enforce the laws, rules and regulations that we all must follow. Building and construction is one part of the local economy that is strictly regulated. The District of Columbia Department of Consumer and Regulatory Affairs (DCRA) is in charge of issuing permits and collecting fees for new construction as well as office and building renovations. Why are permits for office and building renovations necessary? While some people might think that all of the different permits you may need to do an office or building renovation are unnecessary and just a way for the government to collect more revenue, the permitting process is more than just another type of tax. Permits help insure that no shortcuts are taken during construction that may compromise the integrity of the structure and the safety of the occupants. This entry was posted in Commercial Construction on January 29, 2014 by editor.